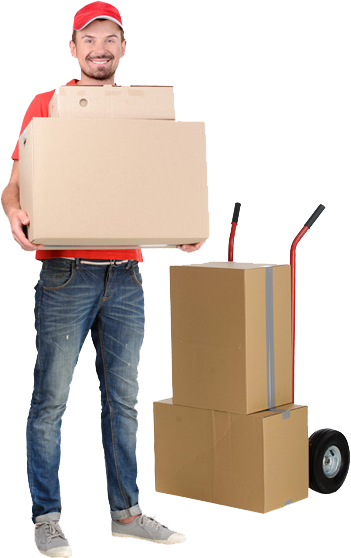 VS Domestic Packers And Movers were established in the year by Mr. Vijay. We are a leading name in packers and movers industry. As a dedicated part of service industry we are committed to come up with the best service providers. Our members provide packing, moving of any kind of goods as well as Automobile Transportation , they extend their services in relocating , home based shifting , corporate shifting , door to door cargo shifting. A sincere approach is to facilitate our customers who think about relocation and shifting at any moment of time. We realize the fact that packaging and shifting needs are going to big in today's corporate sector at a extent that a big service provider in shifting, relocating and moving packing industry is required for their customers who are willing to relocate from one place to another or in other terms who need to shift one place to some other place. As a committed and well-known organization in moving and shifting services we are equipped with a broad and updated directory that contains all the information about the managed and state of art service providers of shifting and moving service providers in Ahmedabad. VS Domestic Packers And Movers in Ahmedabad is a leading domestic and international moving company with its branches in all over India. We have existence in every corner of India. VS Domestic Packers And Movers Ahmedabad deals into Households, Corporate, Commercial Packaging and Moving. We also deal into Car moving. With our experience, expertise and market understanding, we offer fast, reliable and professional packing and movers in India. Our staffs consist of the experienced work that is trained to handle all the valuables, commercial or personal, with highest proper care. We deal with all the moving details. We ensure that all the products are completely loaded so that they don't stand any chances of damage during transport. The shifting is done without any difficulty and in a stress free manner. Also, packing is done under the guidance of our experts who make sure that all the products are completely loaded so that they don't get broken while moving from one place to another. We, VS Domestic Packers And Movers Ahmedabad is a professional and experienced packing and moving service provider company serving all of your relocation needs in Ahmedabad and other cities of India, like Trichy, salem,Madurai, and Coimbatore for household shifting ,Office shifting.Whatever you're packing,transport, storage ordelivery needsare, and we have highly trained teams ready to provide you with superior packers and movers service Ahmedabad. VS Domestic Packers And Movers in Ahmedabad is a fully licensed and insured moving company in Ahmedabad,that offers local and interstate, residential and light commercial moving services Ahmedabad. In addition, we also offer long- and short-term storage in our climate-controlled storage facilities when needed. VS Domestic Packers And Movers is the most respected and recommended company in India, Ahmedabad, Gandhidham, Coimbatore, Trichy. More than 25% of our business is referred to us by customers from Ahmedabad, Baroda, bhuj, Madurai, Coimbatore, Trichy, who have moved with us in the past. Our list of satisfied customers is growing everyday and many of our customers have committed themselves to using us for any future moves they may make. VS Domestic Packers And Movers provides Cardboard carton to wooden crates built with shock absorbers and integral ramps to pack all your valuable items. Our experienced professional team handles all types of packing so that your valuable goods reach destination without any damage. We pack your goods on site or have it packed at our warehouses. We pay strict attention while packing and moving your fragile item from source to destination. All Packing materials used are recyclable, so no need to worry about wastage. We are expert in handling, VS Domestic Packers And Movers and packing & shifting of household goods, office goods, commercial equipment and car, logistics and transportation.